There are millions of pictures of the west pier in Brighton. 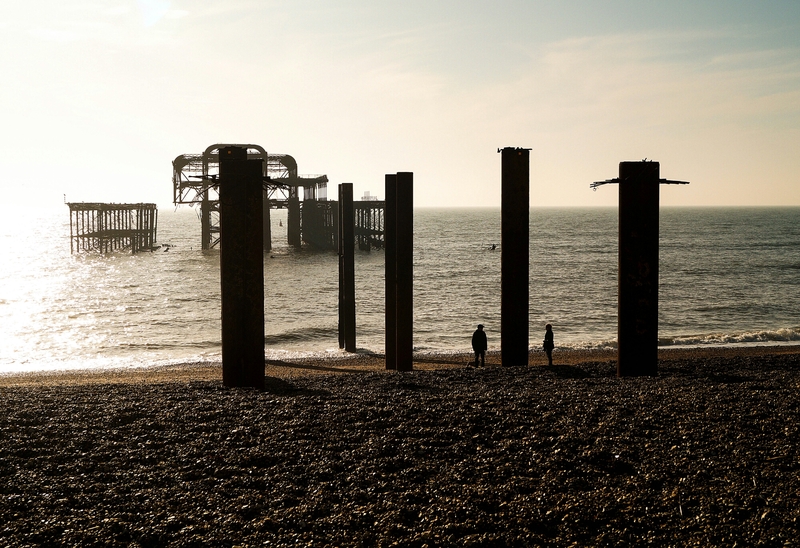 I like this image because what remains of the west pier is off centre and not the focus of the image. Instead the less photographic Iron structures are at the forefront with the two silhouettes demonstrating the scale of the pier and it’s structures. Posted in beach, Brighton, people, photography, sand, seaside, travel, waterTagged beach, Brighton, seaside, silhouettes, West pierBookmark the permalink.